Save over 25% on some of the most popular royalty free music tracks from the 5 different music categories, from Corporate to Powerful, from Electronica to Inspirational for different kinds of marketing videos. Different marketing videos call for different types of music. This Video Marketing Diversity Music Bundle gives you a chance to save over 25% on some of the most popular royalty free music tracks from the 5 different music categories, from Corporate to Powerful, from Electronica to Inspirational. This bundle includes 5 very different royalty free music tracks, each being the bestseller in its own category: Corporate, Happy, Energetic, Electronica, and Inspirational. Positive, motivational, and inspiring royalty free background music for corporate video marketing and small business promotional videos in the modern pop rock genre. The arrangement combines both the acoustic, as well as modern electronic sounds and creates uplifting and positive atmosphere that instantly helps to set the mood of your video. Warm, fuzzy, heartfelt, and happy royalty-free music mid-tempo instrumental track filled with ukulele and acoustic piano. This happy royalty-free music is a great fit for any “feel-good” video or multimedia project, such as positive ads and commercials, YouTube holiday video, motivational corporate presentations, and Web documentaries. Sophisticated and engaging royalty free electronic music with mysterious and modern hi-tech feel. The mid-tempo arrangement features an array of spacy synthesizer sounds and sparsely used glitch sound effects that give the track its “hi-tech technology” flavor. This calm background instrumental track can be used as royalty free soundtrack for a technology presentation, corporate video, high-tech or software company video marketing YouTube channel, or video advertisement for a wide range of modern technology products. Both wav and mp3 versions are included for your convenience. Download free preview and safely try this royalty free electronic music in your project or video before purchasing the license. Client Spotlight: See How Ray White Real Estate Uses Video and Positive Royalty Free Music in YouTube Video Marketing Campaign - See how Ray White, a large real estate company, promotes their auction services with YouTube video marketing. The background music is Reaching for the top. 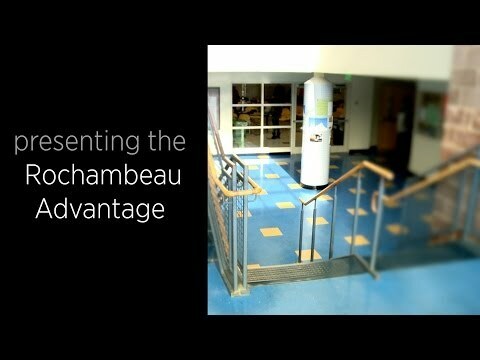 Client Spotlight: See How Lycée Rochambeau School Uses Video and Happy Royalty Free Music For YouTube Promotion - See how Lycée Rochambeau, an international French school, uses video and happy royalty free music to promote its French Immersion program on YouTube. The background music is Simple Pleasures.